GARLIC BREAD. One of the greatest creations humanity has brought to this Earth. When future archaeologists dig through the charred remains of our civilisation, brought down by civil war and pestilence, they’ll look at each other and shake their heads and say ‘At least they had garlic bread’. There is one place in this world that sums up the true and lasting love between people and garlic bread. And that is the Garlic Bread Memes Facebook page. It harnesses the full power of the internet to tell an important story about human emotions and garlic bread. It can be a place of friendship. And a place where secrets are shared, in a circle of trust. But most of all, it’s a place of hope. And a place of delicious photos of garlic bread. 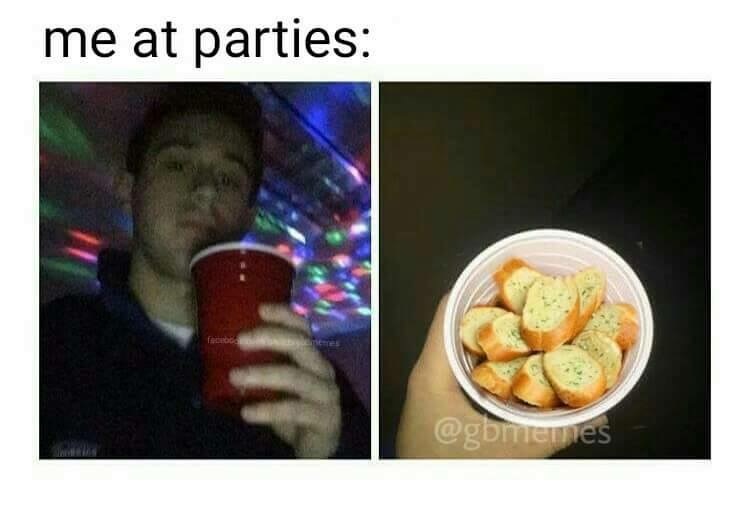 There are lessons for us all on the Garlic Bread Memes page. Email “The 'Garlic Bread Memes' Facebook page is the most hilariously inappropriate place”. Feedback on “The 'Garlic Bread Memes' Facebook page is the most hilariously inappropriate place”.